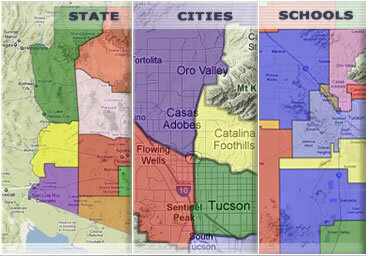 Make a Referral to MyOwnArizona™ Real Estate. Your referral is the highest complement that we receive. Thank you for your trust. Refer your Friends: we make a special effort for our clients that are referred to us by our friends. Whether they are buying or selling their home, will do our best to insure that they have a quality real estate experience. Referrals from Realtors: Your clients will receive the special attention that we give all of our clients. 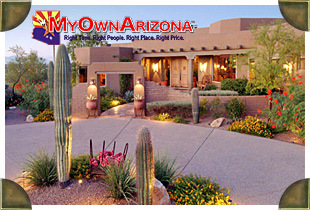 You will receive 110% of our quality MyOwnArizona™ Real Estate service and a 20% Referral Commission check. That's right. You can earn real money in real estate just by providing referral information to our full-time MyOwnArizona™ Real Estate team. It's that easy. Whether you are a real estate agent from out of the area – looking for an excellent real estate company that can take special care of your dear clients – and at the same time increases your odds of sharing a commission check through a smooth successful closing. Or, you are in the area and want to introduce your clients/friends to a knowledgable energetic group that will do all of the legwork and follow-through – while you are also able to keep your hard-earned real estate license active – and imagine the income that you can accumulate from simply handing over your real estate referrals to our qualified, full-time MyOwnArizona™ Real Estate salespeople.